In an ideal environment, where the average response time for a Cardiac Arrest patient is 8-10 minutes, the survival rate is 8%. It is for this reason that we acknowledge and cherish those survivors who have faced death and beaten the odds. This is one of those stories, where even the heroes sometimes need saving. 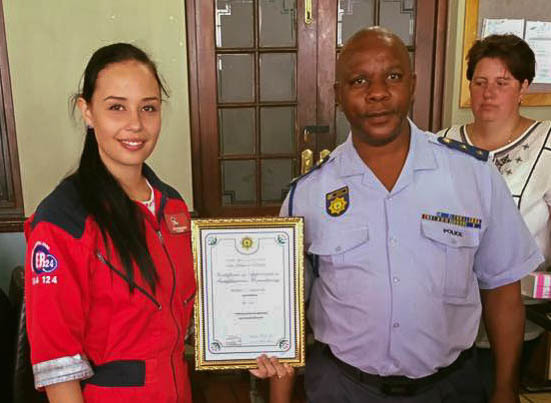 On Wednesday the 2nd of December Community Medics and ER24 were called to Cape Town SAPS for an officer who was experiencing chest pain. 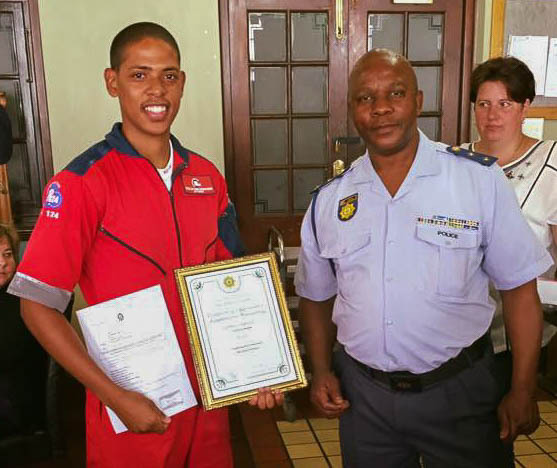 Shortly after their arrival, the SAPS member went into Cardiac Arrest and Advanced Cardiac Life Support was Initiated. The prompt response of these medical professionals and the immediate treatment they were able to provide resulted in a life being saved. 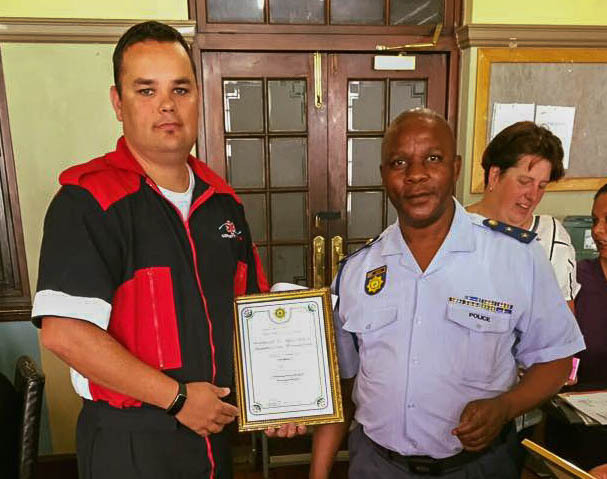 This success was only due to the team effort put in by all involved, without which, the SAPS member might have fallen outside of the 8% survival rate. 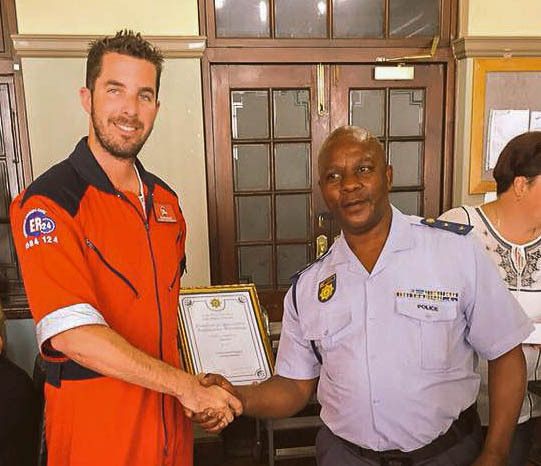 Cape Town SAPS has extended it gratitude to Community Medics and ER24 for their assistance in this time of need and awarded all the members involved with a certificate of appreciation. All I can say is, it’s great to be able to return the favour after all the blood, sweat and tears these officers put into keeping this city safe. 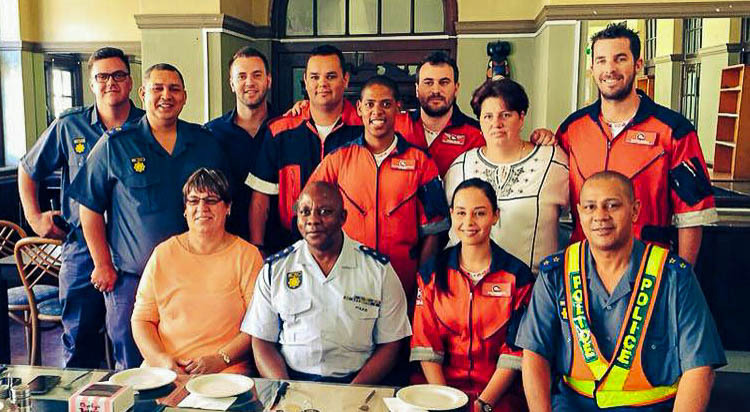 Community Medics and ER24 wish the SAPS member a speedy recovery and a festive season ahead. 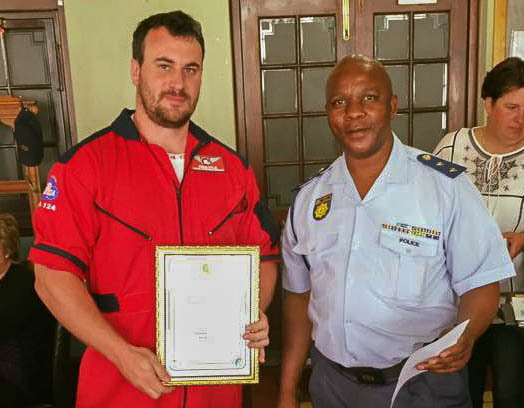 Ferlin receives his certificate of appreciation. Craig Wylie receives his certificate of appreciation. Jodi Friedman receives her certificate of appreciation. Glen Wood receives his certificate of appreciation. 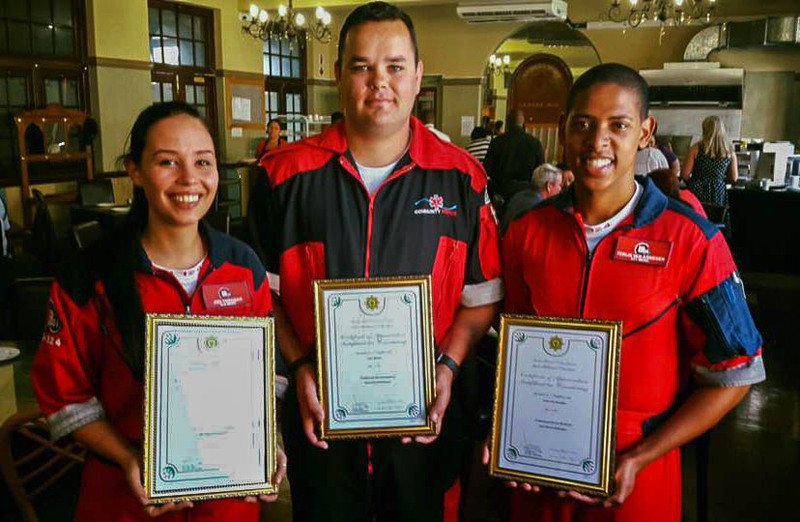 Glen, Ferlin and Jodi receive their certificate of appreciation.